The Big Opening Night is done for Magic Flute: Puzzle Adventure, both on iOS and Android. TheÂ audience loved the performance, Iâ€™d say itâ€™s time for the curtain call. 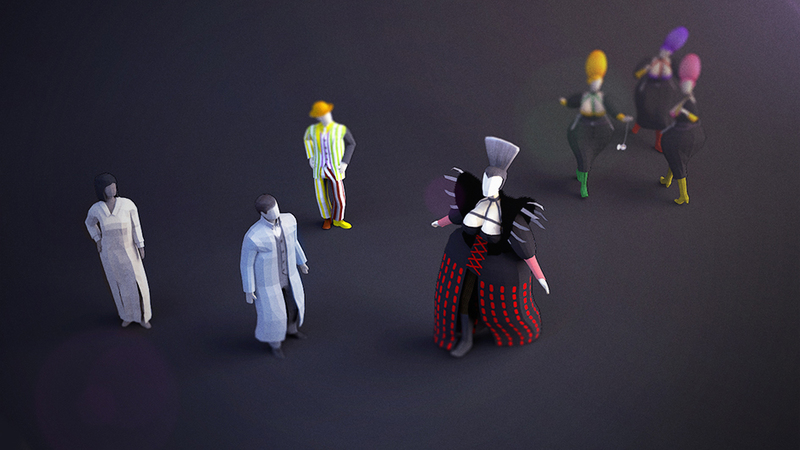 Letâ€™s meet the character cast ofÂ our story, as they come once more onto the stage. Give them a round of applause, after all they didÂ well. Get to know them, theyâ€™re here to stay – the show will be running for a long time. Enters Tamino! He’s a stranger to this magical land. He’s not sure where he is, or where he’s supposed to go. Just like the heroes of every single self-respecting tale in the history of humans telling stories – he’s got a long journey ahead of him. By the time it is complete, he will be a different person than the one that set the first step on the path towards adventure. He will learn his lessons in life, conquer his fears, find himself and understand that magic is an inherent part of life. But for now, he’s just just like you and me. No time to waste…Â Off you go, Tamino! Mozart, the composer, and Emanuel Schikaneder, his playwright, were into some really funky stuff.Â In the final years of the 18th century freemasonry, mysticism and the occult were inspiring theÂ contemporary pop-culture (such as the opera), like never before. 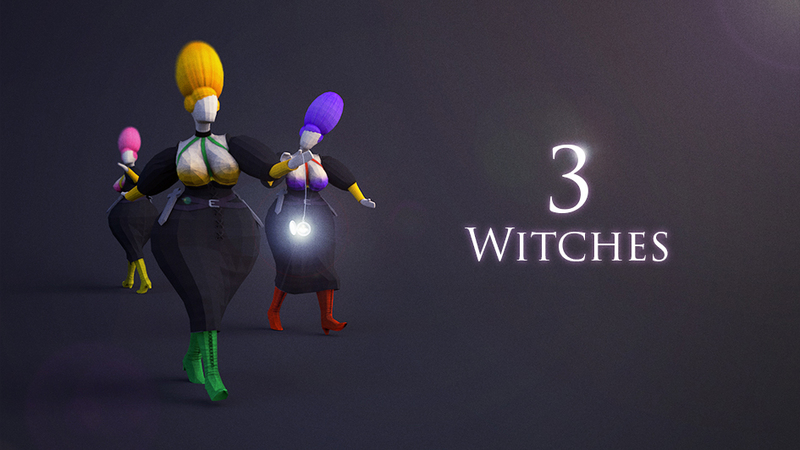 Enter the Three Withches. TheÂ Wyrd Sisters. Inspired by Macbeth’s ladies of the forest, spinning the fates of men and brewing theirÂ mystical brew of sinister plots and bubbly things in the depth of the night. 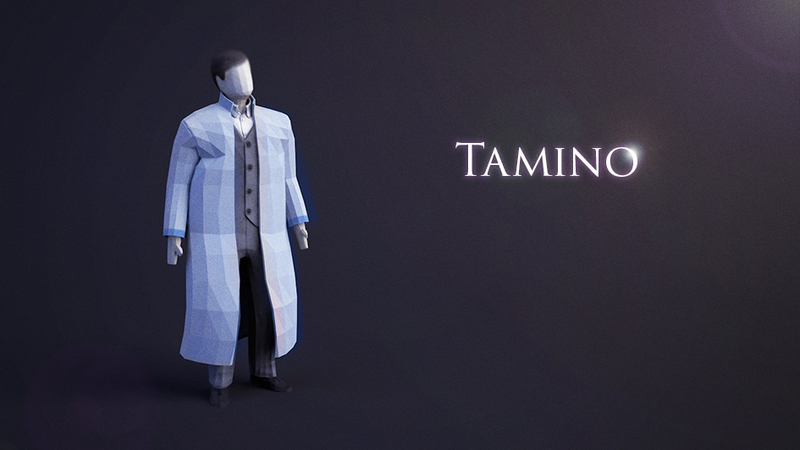 Oh, how they will enjoyÂ their little dance with you, poor Tamino! Eerie landscapes, monsters and villains lurking in the dark, and a long journey ahead, full of challenges and trials… The enchanted realm of Magic Flute could prove to be a little overwhelming to Tamino, the stranger in a strange land. Every hero needs a sidekick and all good stories need a comic relief. 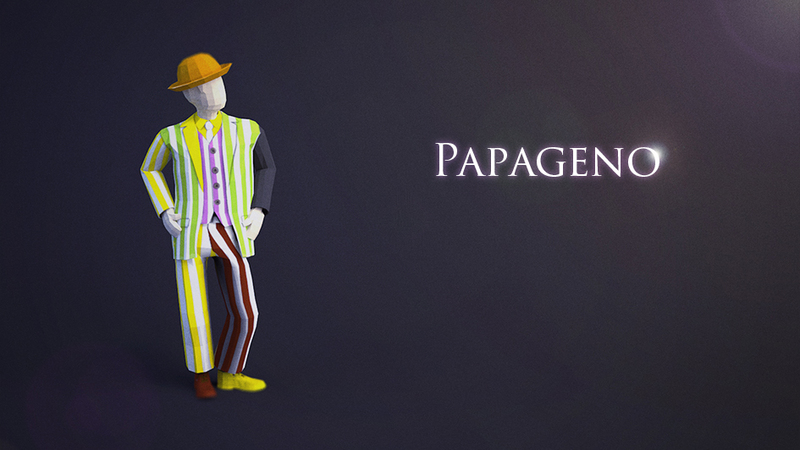 Enters Papageno! Colorful and quirky oddball of a companion. He’s not just a clown. He may seem crazy, but there must be a method to his madness and he’s got some secrets and quite a bit of magic of his own. 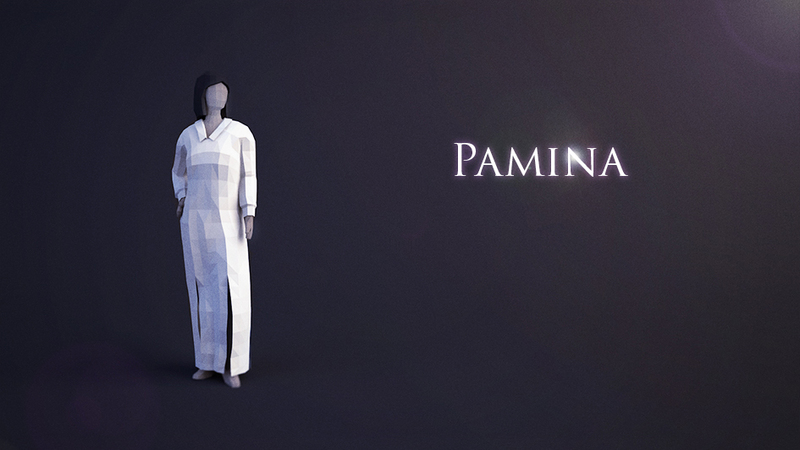 Enters Tamina, bound by fate and the unrelenting laws of classic storytelling and gaming tropes – she is the princess in another castle. Kidnapped and imprisoned by the evil wizard she will wait for the hero who will come and save her. But is she helpless? Is she just the prize waiting for the protagonist at the end of his journey? No, nothing of the sort! Freed from the wizard’s clutches not only will she take care of herself, but help the others in peril! 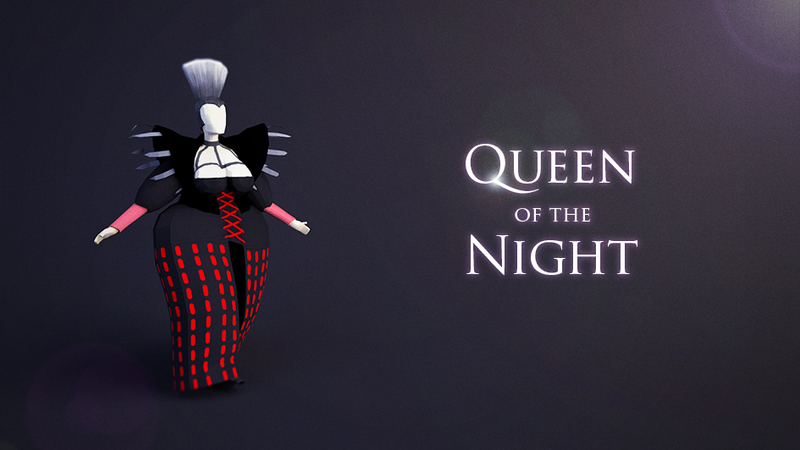 Enters the Queen of the Night. Isn’t she wonderful? Isn’t she gratious? Isn’t she glorious? Don’t you even try to deny it, or she’ll have your head. She shows no mercy, she knows no remorse. She’s royalty among witches and a spell-slinger among queens. You will tremble at the very first display of her power, but it’s not her magic that will haunt you in your dreams. No. It will be her high-pitched laugh. A puzzle wrapped in an enigma in the center of it all. 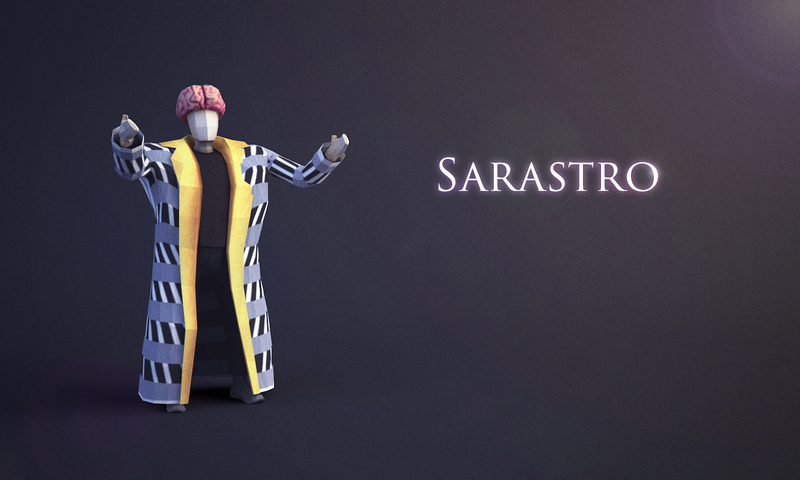 Enters Sarastro the magician, a mysterious monarch, master of the mystic arts. Who is this man? Is he even a man at all? Just as with his historical counterpart – Count Alessandro di Cagliostro – one can never be sure of anything. So, don’t believe he exists. Don’t believe that he doesn’t. Do not take for granted that he’s a danger to our heroes. Don’t count on him to be their ally. Assume nothing, challenge everything, and you still won’t pierce the veil of his secret supreme. There you have it. Magic Flute: Puzzle Adventure may seem like a straightforward puzzle game, but there’s more to it than meets the eye. The magic it drives from being a new emanation of a tale much older, which – in turn – was inspired by long forgotten tales of wizardry and wonder, implored us, the humble bards of digital age, to give the characters more depth and a life beyond the game. Soon, there will be another frontier for them to conquer… but that’s a story best kept secret until yet another evening. See you in a spell!